And the rider can maintain eye-level height with other pedestrians. 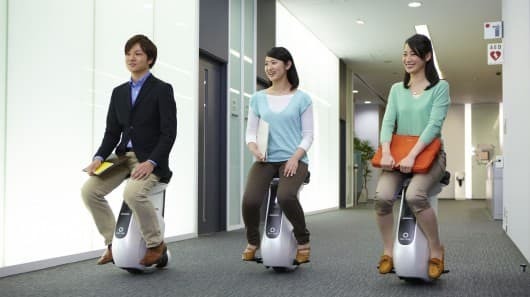 Tough I highly appreciate Honda has a leader in robotics and engineering this rider doesn't look this comfortable, i bet after few minutes your back begins to ache it doesn't support your back and the seat looks pretty small. Other components looks pretty great. I don't see why the back should ache. 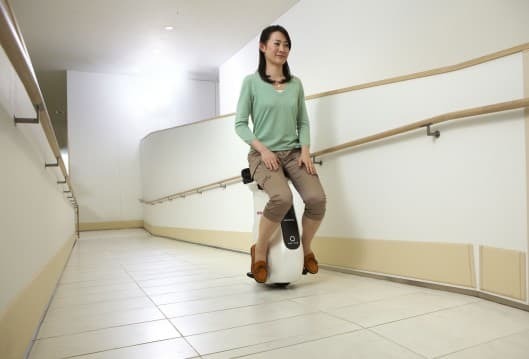 riding this robot is just like riding a regular two-wheeler. nice gadget. how much does it cost ?